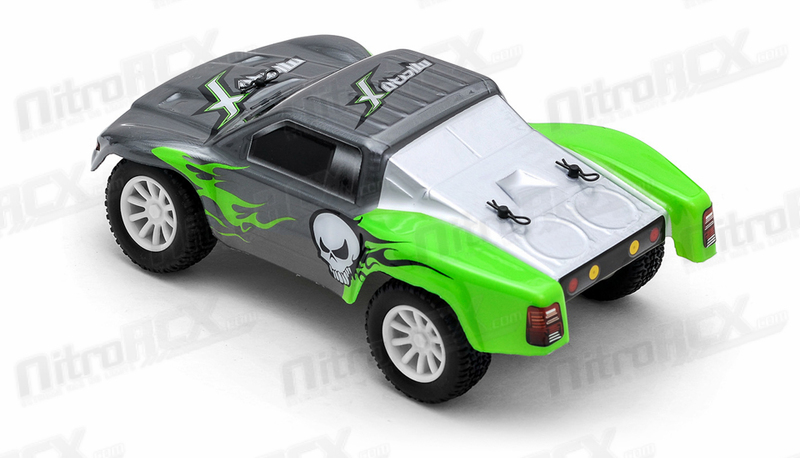 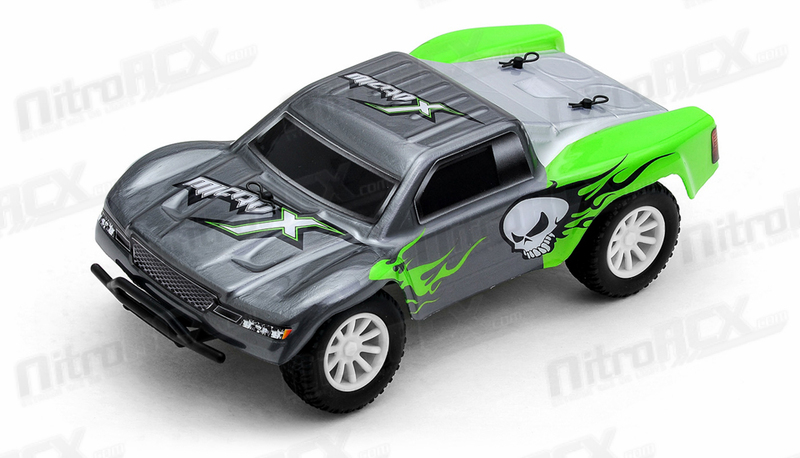 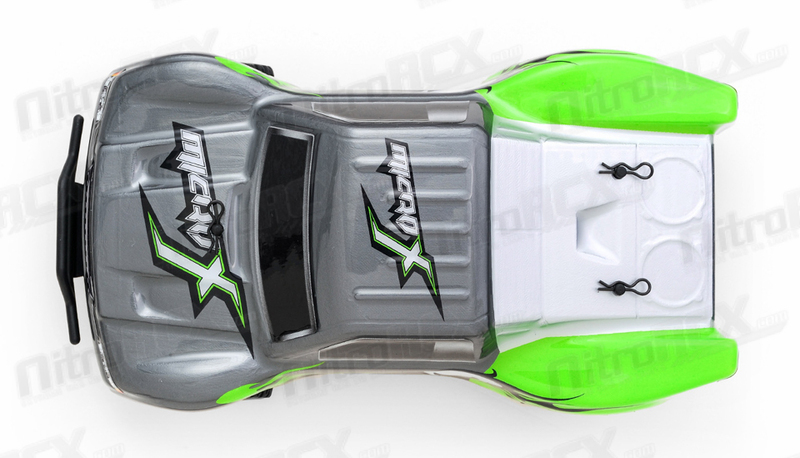 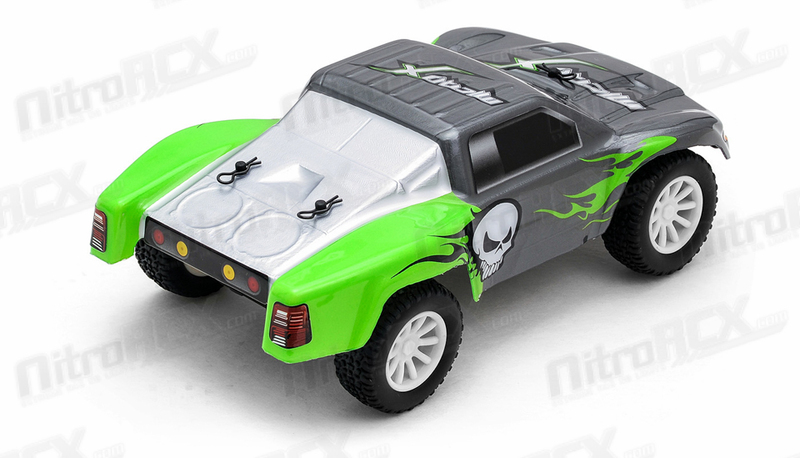 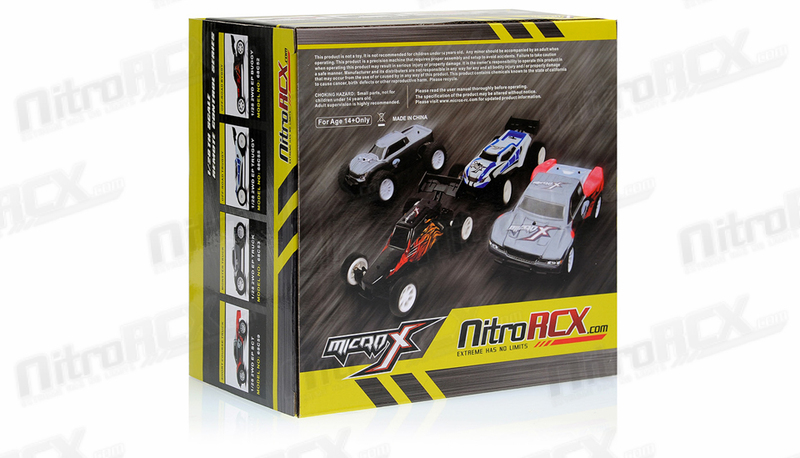 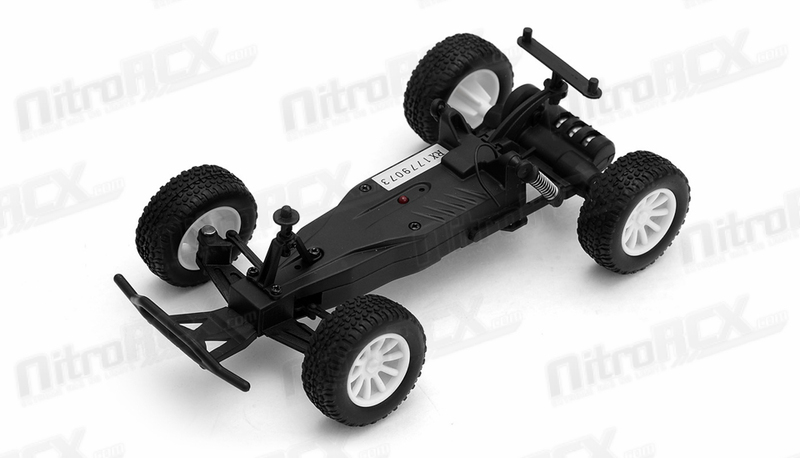 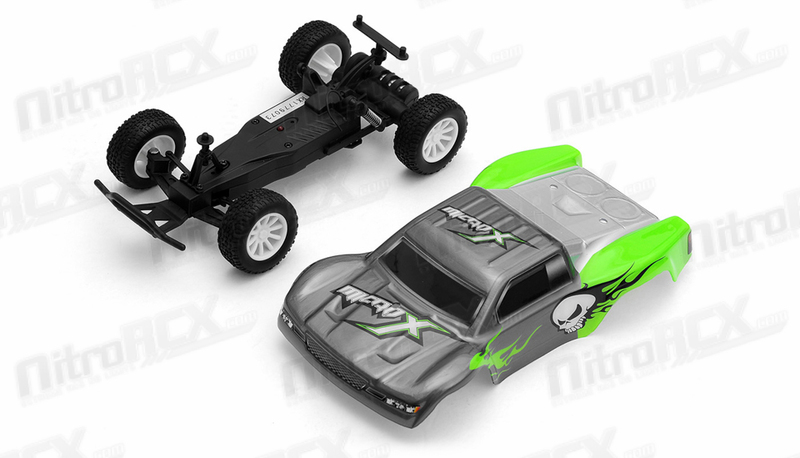 MicroX Racing releases its smallest most compact remote control short course truck to hit the market. 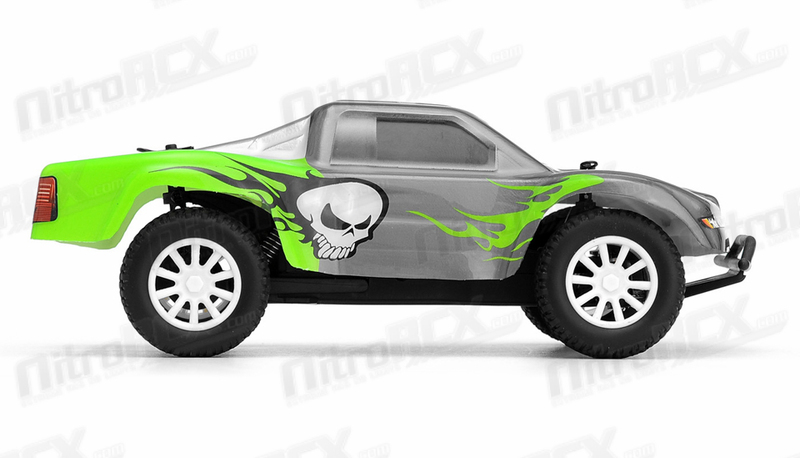 Constructed on an molded composite chassis this Short Course Truck sports an agile 2WD drive train. 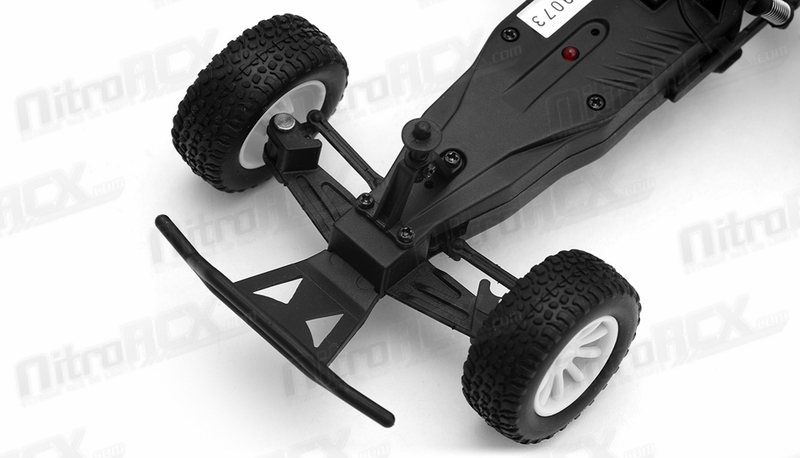 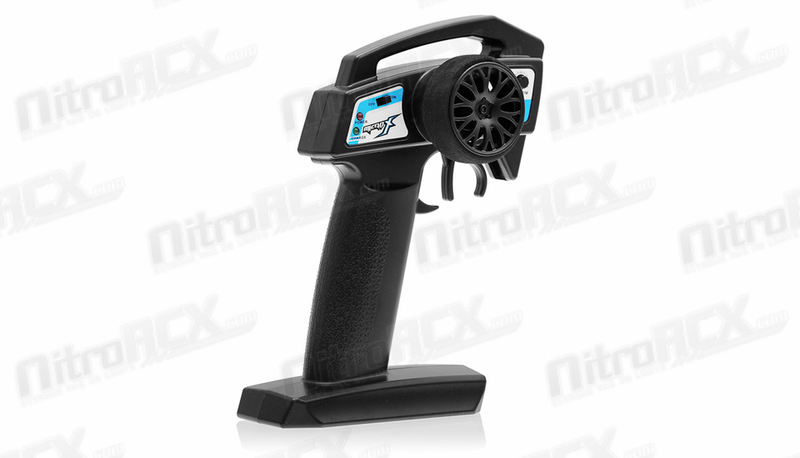 A powerful brushed micro motor delivers tire spinning torque and speed to this already small and light weight chassis. 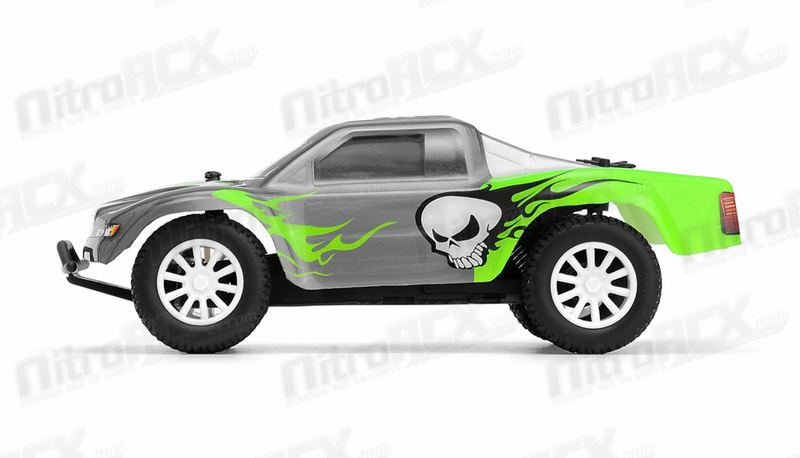 Realistic Short Course Truck styling, race wheels, tires, and details keep things fun and exciting. 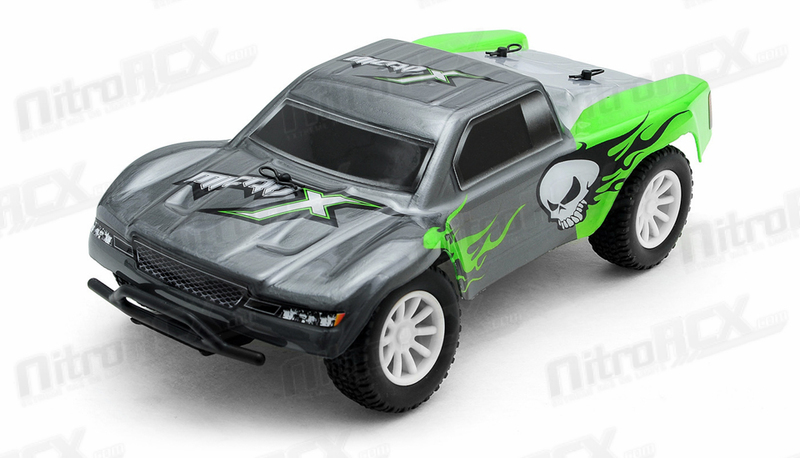 The 1/28-scale electric RTR 2WD Short Course Truck has all the features you would want in a hobby grade radio control vehicle. 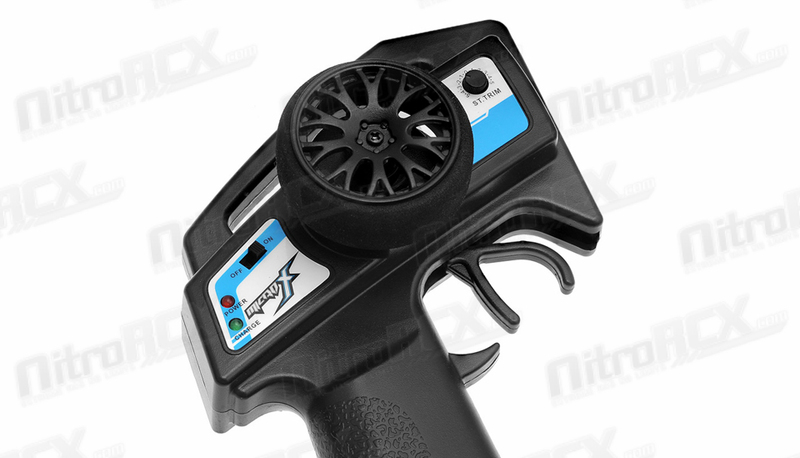 Proportional digital throttle control, proportional digital steering control, high current electronic speed controller and lithium battery. 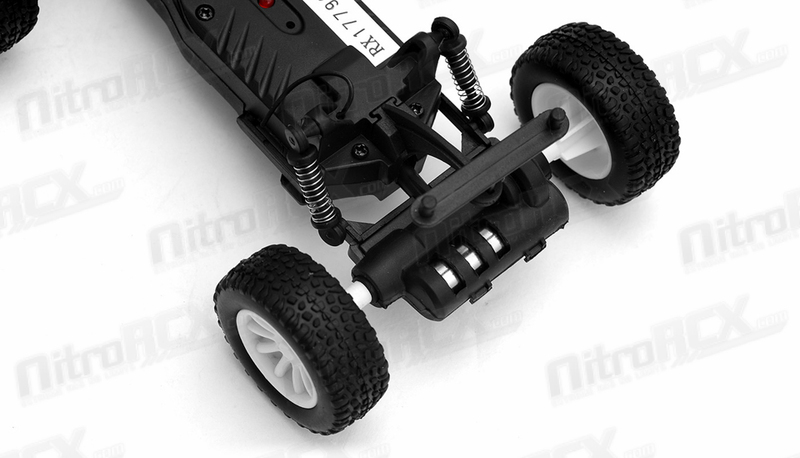 The vehicle is ready to run and comes with a rechargeable internal battery pack and USB charger. 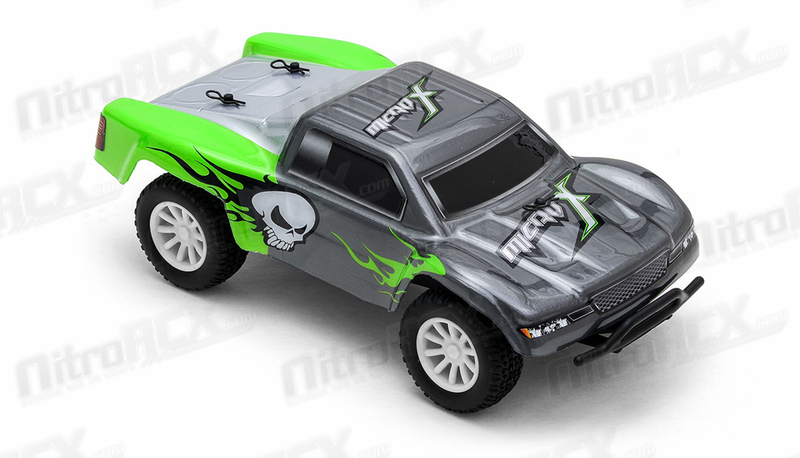 This Short Course Truck is fully equipped to attack your home made race course. 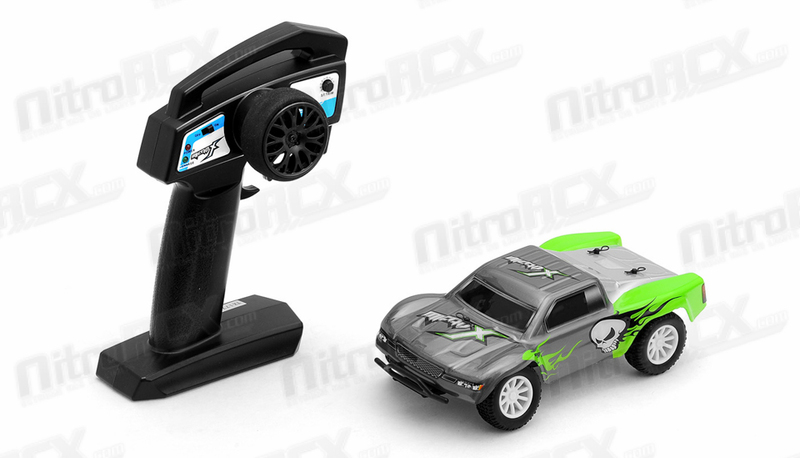 All you need to do is take it out of the box, charge the battery and let it rip!